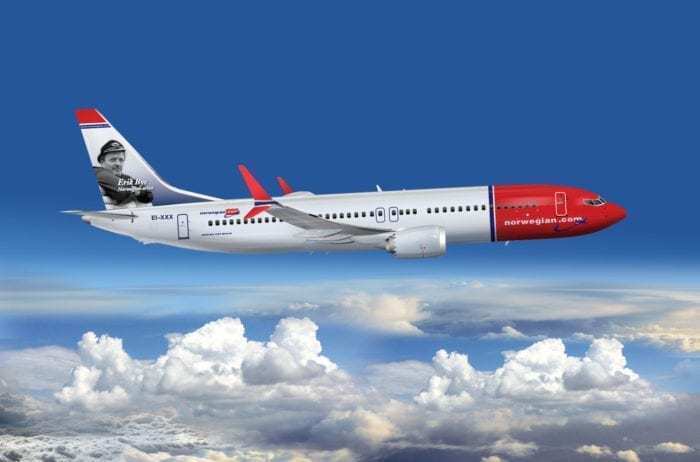 Almost 8 weeks after a cautionary diversion to Shiraz, Iran, it seems as though work is finally taking place to repair a Norwegian B737 The aircraft which has been on the ground for 52 days has so far not been touched due to US Government Sanctions. Earlier today, Aviation Analyst Alex Macheras tweeted an image showing that work was taking place on the B737’s number 1 engine. While it is unclear who is completing the work, or what work is being undertaken, images show staff in high visibility jackets tinkering with the jet’s engine. On the 14th of December, a Norwegian B737 departed from Dubai to Oslo. While it looked as though all was going well, the aircraft soon developed issues with its number one engine. While the aircraft is ETOPS certified, meaning it could’ve kept flying for a while, the pilots decided it was best to land at the nearest possible airport. This airport happened to be Shiraz in Iran. Due to the pressure of the situation, the first thing on the pilots’ mind probably wasn’t the issues caused by landing in Iran, and nobody could blame them. However, it seems as though in this case, the choice to land in Iran would prove costly for Norwegian. With the Boeing 737 being an American manufactured aircraft, it requires a bunch of American parts. Unfortunately, due to sanctions placed on Iran, it hasn’t yet been possible to dispatch either parts or engineers to fix the aircraft. In order to be able to dispatch this response, approval has been required by the United States Government. As the US Government was shut down while the situation was ongoing, this was proving a lengthy task. However, it seems as though the US Government may have granted this approval after people were spotted working on the Aircraft. Simple Flying has contacted representatives of the US Department of State. There doesn’t seem to be any official confirmation of what work was taking place on the aircraft. Simple Flying has contacted representatives of the US Government, Boeing, and Norwegian for comment. What could be seen was that people were working on the aircraft. Specifically the Number 1 engine. Simple Flying will, of course, keep readers updated with any progress made on the B737, and whether Simple Flying receives a statement from any of the parties contacted. Do you think the aircraft will be back in the air soon? Let us know in the comments down below! This is about a 737 stuck in Iran not a 787. It would have been nice to know what happened to the passengers and crew? Couldn’t they have found a more US friendly airport? Was the situation that critical? You have a crucial part of your article incorrect in multiple places. The aircraft is a 787, not a 737. That’s worth correcting. Mistakes like this (especially when uncorrected) cause people to question your credibility. Hey Greg, it is the B737-MAX stranded in Iran. This was confirmed by Norwegian to Simple Flying. Greg you clearly lack credibility. No apology either to the author. And do Peter: “Couldn’t they have found a more US friendly airport? Was the situation that critical?” Safety is important. Do you think the pilots just landed there for japes and giggles? Take it as necessary.